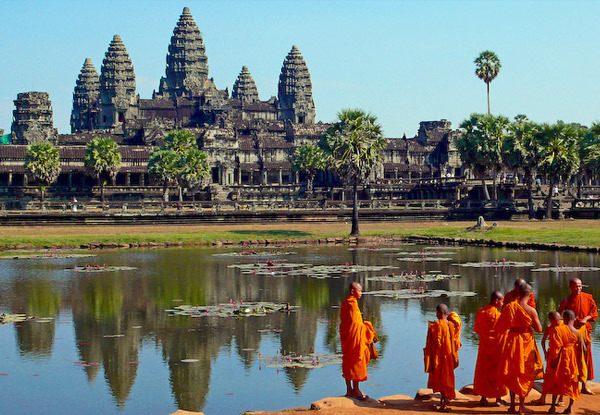 Join in on the adventure of a lifetime - 14 days of awe-inspiring moments and sights through Vietnam and Cambodia. Travelling through both cities and countryside, this varied tour will immerse you in not only the rich culture and historical sights of both countries, but you will witness the picturesque landscapes as your guide takes you to some amazing regions. Discover temples and palaces of Vietnam and Cambodia, take a cruise on Halong Bay and experience the local life in the Mekong Delta. Bookings essential and must be made by 30th Dec 2019 for travel until 30 March 2020. 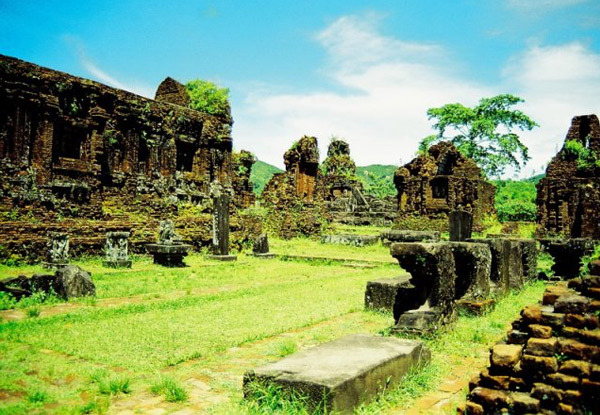 Grab a per-person twin-share 14-day Vietnam and Cambodia tour including meals, domestic flights, transfers, guided tours thanks to Halong Booking Tours. Now until 30 March 2020. Aboard the Cruise, explore Halong Bay, Sung Sot Cave and discover hidden gems of the area from a kayak. Then enjoy a sunset party aboard and take part in squid fishing. 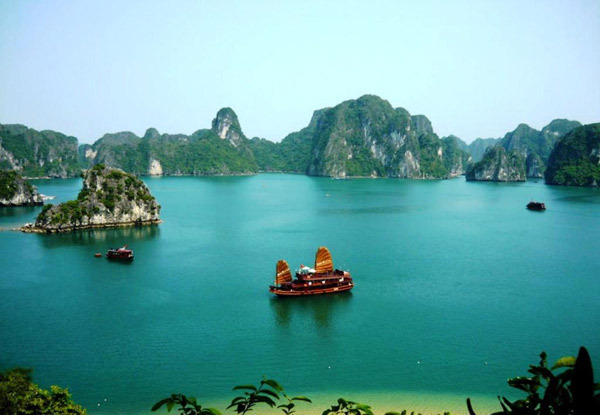 Start the day from Tai Chi aboard the Cruise, continue cruising through Halong Bay, kayak around the Drum Cave, pass by Ba Hang fishing village and Dog Islet, and participate in a Vietnamese cooking class before being transferred to the hotel. 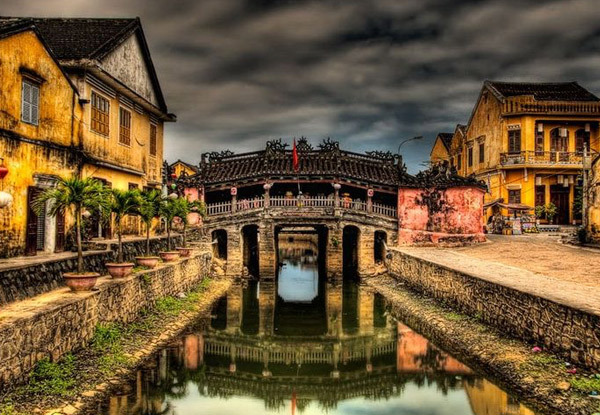 Be transferred from the train station to the hotel in Hoi An. Head to My Son Holy Land, a 4th-century religious centre with numerous temples, towers and ancient buildings. Then take a boat trip down River Thu Bon and visit a traditional local village. Spend the day at leisure day in Hoi An; you'll be transferred to the airport for the flight to Ho Chi Minh City and then to the hotel. Cruise on Mekong Delta, visit the Cai Be Floating market, then enjoy some handmade family-business products such as the coconut candy and the crispy rice popcorn. Arrive in Binh Hoa Phuoc village and listen to the southern Vietnamese traditional folk music before taking a walk through the bonsai garden in Vinh Long. 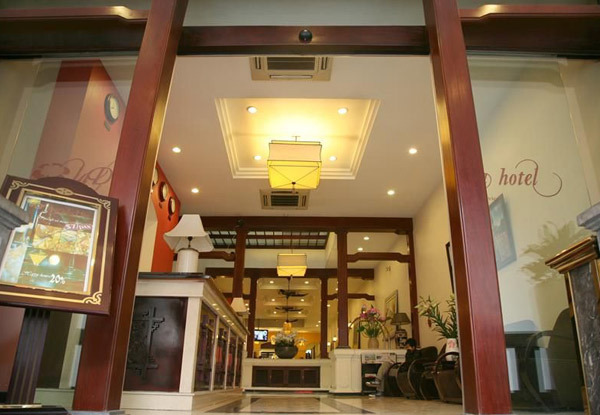 You'll then be transferred back to the hotel in Ho Chi Minh City. Embark on a bus journey to Phnom Penh. 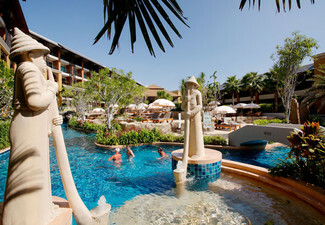 Arrive at the hotel and enjoy the rest of the day at leisure. Visit the Tuol Sleng Prison Museum. After the tour, enjoy lunch at a local restaurant, then explore PsarToul Tom Pong, also called the “Russian Market”. 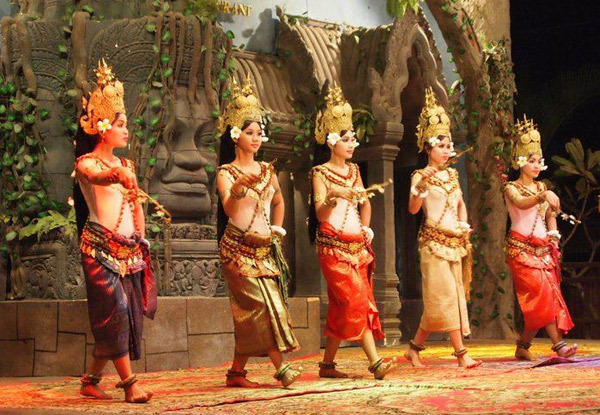 Take a bus to Siem Reap and then be transferred to the hotel for an overnight stay. 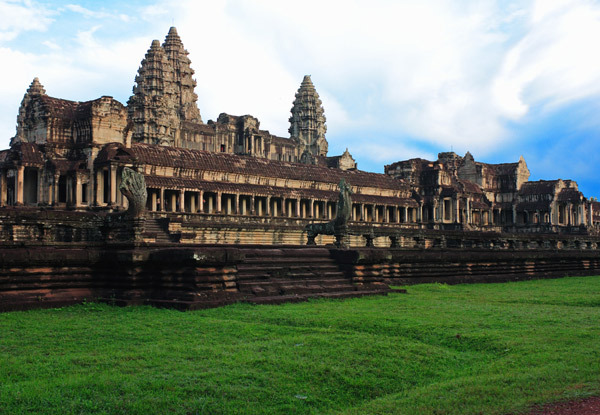 Explore the gems of Angkor Thom Area, including Angkor Thom South Gate, Bayon Temple Elephants Terrace and the Royal Palace, visit the iconic Angkor Wat Temple, one of the architectural wonders of the world and head to Bakheng Hill. Enjoy some leisure time and be transferred to the airport. (B, L, D) = breakfast, lunch, dinner. Bookings essential and must be made by Dec 30, 2019. Valid for travel from the present day until 30 March 2020. Subject to availability. International flights not included. Surcharge of USD100 per person applies for travel during the following periods 24th April to 5th May 2019, 28th August to 5th September 2019 and 24th December 2019 to 5th January 2020, 30 March to 4 April Must be used in 1 visit. Deal valid for one person on a twin share basis i.e. two vouchers must be purchased at this price. Single supplement (one person travelling alone): $USD509 (3-star accommodation) and $USD789 (4-star accommodation) payable at time of booking, payable direct to merchant. Includes: 13 nights of accommodation, 11 nights in hotels, one overnight train journey, one night aboard a Apricot Cruise, flight from Da Nang to Ho Chi Minh City with 20kg check-in luggage, train ticket from Hanoi to Danang (soft sleeper, air-conditioned four-berth sharing), bus transfer from Ho Chi Minh City to Phnom Penh and to Siem Reap, private airport transfer in Hanoi, Da Nang Airport and Ho Chi Minh City Airport, two-day Apricot Cruise at Halong Bay, guided tours to Halong Bay, My Son Sanctuary, Mekong Delta, Phnom Penh and Siem Reap & meals as indicated. Excludes Visas, international flights, travel insurance, personal expenses & anything not specifically mentioned in the itinerary. Visas are the responsibility of the traveller. Travel insurance recommended. Value of deal is based on current rates, which are subject to change. Refund available from GrabOne within 48 hours of purchase if specific dates are not available. Once booked and confirmed package is non-refundable and non-changeable. No cashback. Not to be used with other offers.